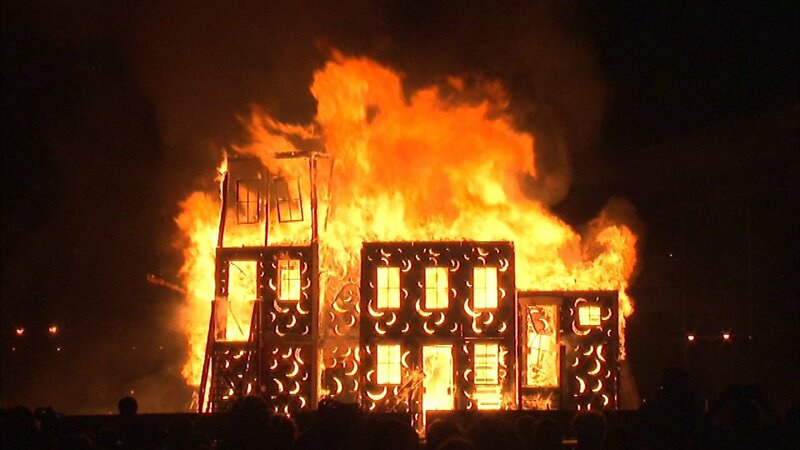 FILE: A float burns at the Great Chicago Fire Festival, put on by Redmoon Theater, in 2014. CHICAGO (WLS) -- Redmoon Theater abruptly announced it is closing its doors permanently on Monday. "Please know that we do not take this decision lightly or without ardent effort to conclude different," Redmoon leadership said. The 25-year-old theater and event non-profit which had moved to a large warehouse space in Pilsen released a statement Monday afternoon that seemed to indicate financial woes as the cause behind the closure. "There is no funding model for this civic and social artistic vision," the statement read. "We've innovated new models to support our unique artistic vision. But, quite simply and quite sadly - our innovations haven't been able to keep up with our civic goals." The company apologized to anyone who may have been inconvenienced by the unexpected closure, and reflected fondly on its decades of work in the city. "It has been an honor to serve the City of Chicago for the past 25 years. We have been blessed to work in and with over 40 of Chicago's 77 official neighborhoods and to bring our unique brand of spectacle to some of our finest institutions; to many of the city's most revered public sites; and most importantly to some of its most overlooked neighborhoods," the statement said. "We've had the honor to work with upwards of 10,000 artists of varying disciplines and backgrounds, many of whom were emerging artists who trained at Redmoon and went on to fulfill and sustain practices outside our walls. We are proud of our effort and grateful for the opportunities." The Chicago Tribune reports that Redmoon was having a hard time paying rent and has been cash-strapped from the controversial Chicago Fire Festival in 2014, which many considered a flop.